On April 12, 2011, Judith L. Pasewark, Administrative Law Judge (ALJ) from the Office of Administrative Hearings, Special Education Division (OAH), presided at the due process hearing in this case. Student’s maternal grandmother and educational rights holder (Grandmother) appeared and represented Student (Student). Patricia Valdivia, an advocate for the developmentally disabled, and Maria Aherm, an advocate for Student’s mother, and Student’s maternal aunt accompanied Grandmother to the hearing. Neither Student nor his biological mother (Mother) appeared for the hearing. Grandmother and several of Student’s witnesses required a Spanish language interpreter. Paula Geary, a certified Spanish language interpreter, translated Spanish into English and English into Spanish for all parties. 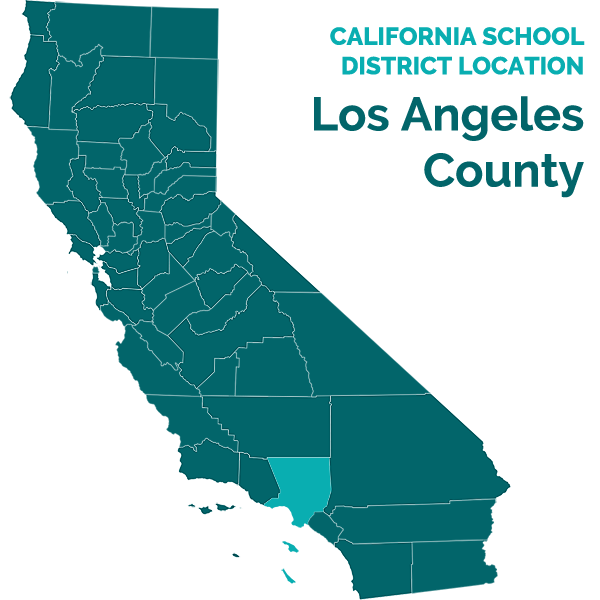 Donald Erwin, Esq., represented Los Angeles Unified School District (District). He was assisted by Jameil Johnson, a legal intern. Jeanique Wells, attended the hearing on behalf of the District. Sandy Laba, Due Process Specialist for the District, attended the afternoon session of the hearing in lieu of Ms. Wells. On January 4, 2011, Grandmother on behalf of Student, filed a Request for Due Process Hearing (Complaint). On February 18, 2011, OAH continued the original due process hearing date to April 12, 13, and 14, 2011. The continuance tolled the 45-day timeline in this case. The hearing took place on April 12, 2011. The parties completed testimony and submitted the matter on April 12, 2011. Grandmother, Student’s maternal aunt, Patricia Valdivia, and Maria Aherm testified on behalf of Student. Danie Melendez, Pamela Abney, Martin Moreno, and Teresa Franklin testified on behalf of the District. The ALJ admitted all documents presented by the parties into evidence. The District’s Exhibit Five, submitted in its original Spanish language format, and was orally translated into English during the hearing. The sole issue presented on behalf of Student is whether the District must provide Student with home-to-school transportation in order to provide Student with a free appropriate public education (FAPE). 1. Student is an eight-year-old boy, who resides within the District with his mother, baby sister and grandparents. Student’s mother is cognitively impaired, and the maternal grandmother has legal guardianship of Student. Mother, however, continues to play an important role in Student’s daily life. The family is primarily Spanish speaking. 2. In May 2006, the District initially assessed Student, and found him eligible for special education placement and services under the category of Developmental Delay (DD).1 As Student aged out of DD eligibility, the District reassessed him in 2009, and prepared a written assessment report dated June 1, 2009. Student subsequently qualified for special education under the primary category of Specific Learning Disability (SLD) with a secondary category of Speech and Language (LAS). The IEP team provided Student with placement in a district Early Education Special Day Class (EE-SDC) along with LAS services. Student’s home school, 68th Street Elementary School, did not have the appropriate EE-SDC; therefore, Student was transferred to the EE-SDC at Grape Street Elementary School (Grape Elementary). The District also provided Student with home-to-school/school-to-home transportation. The District based its decision to provide Student with home-to-school transportation in 2009 on two factors: (1) Student’s young age; and (2) the fact that Student was primarily non-verbal at the time. 3. The District held Student’s annual IEP meeting on November 15, 2010. Both Grandmother and Mother attended the meeting, and both consented to the provisions of the IEP, except for the issue of home-to-school transportation. The November 2010 IEP now provides school-to-school transportation for Student instead of home-to-school transportation. The school-to-school scenario requires Grandmother or Mother to transport Student six to seven blocks down residential streets from his residence to his home school, Compton Elementary. Upon arrival at Compton Elementary, Student is then transported by bus to Grape Street Elementary School, where he attends the EE-SDC. This transportation scenario is reversed at the end of the school day. 1A student may only qualify for the category of developmental delay between three and five years of age. 4. The IEP notes reflect that Mother strongly believes Student requires home-to-school transportation, because Student elopes while walking to and from Compton Elementary. Mother told the IEP team that Student has a disregard for danger, and tries to cross the street by himself. When Mother tries to correct him or hold his hand, Student hits or bites her, and cries a lot on the way home. As a result, Mother considers Student to be a danger to himself and others. Further, Mother finds it difficult to manage Student’s behavior. Compounding her cognitive impairment, Mother also must care for Student’s 18-month-old sibling. It is noted that Mother takes the toddler with her when she takes Student to school. 5. Patricia Valdivia has witnessed Student’s maladaptive behaviors over the last year. Ms. Valdivia is employed by Buena Vista Learning Services and provides life skills training for Mother, necessitated by her cognitive impairment. Ms. Valdivia works with Mother on safety and parenting skills. She also assists in transporting Student to his LAS therapy. Ms. Valdivia arrives at Student’s home at 6:00 a.m. once a week. She reports that Student tantrums, kicks, screams and bites, while indicating he does not want to go to school. She also reports that Student generally kicks, screams, and cries when he does not get his way. In the past, Student has attempted to open the door in a moving car, and has been very rude to his family and therapist. 7. Grandmother reiterated the same problems at home as the other witnesses. She also reported additional problems which she believes compound the problem. Grandmother is not employed outside the home, due to the need to care for Mother and her grandchildren. The family does not have a car. Grandmother notes that the school bus does not always get to Compton Elementary on time. Sometimes she has to wait for the bus. Other times Student’s behavior makes him miss the bus, and she must transport Student to Grape Elementary, which is a 10-12 minute ride by the public Metro bus. Grandmother also reports that Student has no behavioral problems once he gets on the bus. 8. Maria Aherm, a volunteer advocate with 18 hours of advocacy training, also testified on behalf of Student. Ms. Aherm, however, had a very limited personal knowledge of Student, and her testimony contained no relevant factual information. Although Ms. Aherm is also the parent of a special education child, she is not qualified to provide expert testimony in this matter. 9. Danie Melendez, is a school psychologist and has worked for the District since 2004.2 Mr. Melendez administered Student’s last psychoeducational assessment, and prepared a written report dated June 1, 2009. 10. In accordance with its policy, the District did not use IQ tests to determine Student’s special education eligibility. Mr. Melendez assessed Student’s cognitive and general ability by using alternative measurement strategies consisting of direct observation of Student’s approach to problem-solving; student, parent and teacher interviews; review of school records; and review of Student’s past and present performance on standardized measures (assessing cognitive, psychological processing, and academic skills). Overall, Student’s cognitive abilities fell within the average range, with Student scoring higher in non-verbal areas, and lower on verbal and language components. Student showed relative strengths in his above average ability to follow directions, use strategies for problems solving, and identify mistakes and self-correct. Student also exhibited superior ability to attend and concentrate while ignoring distracters. He also showed average adaptive behavior skills to live independently and to function safely and appropriately in daily life. Student showed relative weakness in his ability to work with verbal information in specific linear order. He also exhibited weakness in his ability to interpret, and analyze and give meaning to auditory and visual stimuli, due to deficits in visual and auditory processing. Student’s sensory-motor integration skills were within the average range; his gross and fine motor development was within normal limits. Student displayed significant expressive language skills, and his receptive language skills were functional. Based upon his interview with Mother, Mr. Melendez was aware that Student exhibited problematic behaviors within the home environment; however, Student did not appear to have behavioral difficulties at school or problematic behaviors that would negatively impact his educational progress. 11. The dichotomy between Student’s behaviors at home and his behaviors at school are readily apparent. Mr. Melendez acknowledged, that based upon family information, Student’s behavior at home is very different from his behavior at school. Student’s prior assessments reported that Student demonstrated significant noncompliant behaviors within the home, described as frequent tantrums, engaging in aggressive play, and throwing items at others if he became upset. On the other hand, Student’s cumulative school records did not show any significant behavioral issues that might have a negative impact on his educational career. Further, during Mr. Melendez’s formal observations of Student, Student displayed appropriate interactions with peers and adults, responded to lesson questions, and showed appropriate conduct. During the 2009 assessment, Student displayed appropriate conduct, attention and concentration. 12. Mother and teacher interviews also provide differing information. Mother indicated that, at home, Student gets upset when asked to do things he does not want to do. He frequently fights with Mother and his cousins when he becomes upset. Student reluctantly shares possessions with others. Directions need to be repeated often and Student needs to be directed to do self-help tasks such as bathing, brushing his teeth, and cleaning up after himself. 13. The written assessment report indicates that Student’s kindergarten/first grade teacher reported that Student exhibited good peer relations and played well in groups. He was helpful towards others and communicated with peers to the best of his abilities. He was well-behaved in the playground setting. He was able to share with peers and show appropriate turn-taking behaviors. In the classroom, he was respectful towards peers and adults, and was able to follow teacher directions and prompts. He showed the ability to focus and concentrate and was able to transition from one activity to the next without difficulty. 14. Pamela Abney,3 Student’s current teacher, attended the November 2010 IEP meeting. Ms. Abney teaches the 2nd/3rd grade SDC for SLD at Grape Elementary. Ms. Abney does not find Student to have behavior problems in the educational setting. She notes that Student’s current IEP does not contain any behavior goals, because such goals are not needed. Student exhibits good behaviors at school. Ms. Abney believes Student’s November 2010 IEP provides a FAPE. Student’s report card for the first two periods of the 2010-2011 school year support Ms. Abney’s beliefs that Student is accessing the curriculum at school, is learning, and is benefiting from his education. Student’s academic grades reflect that he is generally proficient in his classes and consistent in his efforts. Student’s work and study habits are proficient, and his efforts advanced. Student’s learning and social skills are “advanced” in all areas. Ms. Abney reports that Student does not exhibit maladaptive behaviors in class or during recess. He follows directions, exercises self-control, gets along with peers, and has no problem navigating the school campus safely. Further, Ms. Abney’s written progress report covering the period of December 13, 2010 to March 2, 2011, indicates that Student is a pleasure to have in class; is an enthusiastic learner; is cooperative, well-behaved and has a positive attitude. 15. Martin Moreno is a special education teaching assistant at Grape Elementary. Student has been in his classroom since September 2010. As part of his daily duties, Mr. Moreno meets the students arriving by bus at Grape Elementary, and escorts them to and from the bus. He also supervises Student and his classmates during food breaks and on the playground. Mr. Moreno has no behavioral concerns about Student or his ability to transition from playground to classroom. He reports that Student’s social abilities are similar to other seven year olds. Student gets along with his peers. He is not a safety risk and does not elope. Further, Mother picks Student up from school on Wednesdays and Thursdays, and he has not observed Student misbehave in Mother’s care. 16. Teresa Frankin,4 the Assistant Principal for Grape Elementary, attended the November 2010 IEP meeting. She knows Student and has observed him at school. Ms. Franklin reported on the IEP team’s rationale in providing Student school-to-school transportation. Generally, a parent or legal guardian is responsible for transporting their child to his/her school of residence (Compton Elementary). School-to-school transportation is provided when a child cannot attend his/her school of residence (Grape Elementary). School-to-school transportation is provided as a DIS or related service. The District does not provide students with transportation to their school of residence unless the individual student qualifies as an exception. The exceptions are generally designed for children with more severe disabilities, such as orthopedic impairment, cognitive impairment, or fragility. 17. Ms. Franklin also opined that walking to school has educational benefits and is a component of the least restrictive environment (LRE) for Student. 18. Ms. Franklin recalled Mother’s letter of October 29, 2010, in which Mother requested home-to-school transportation. Ms. Franklin viewed Mother’s primary rationale for requesting transportation as her need for assistance in handling her 18-month old daughter while getting Student to and from school, and not maladaptive behaviors of Student. Further, there are no hazards on the short walk down residential streets to Compton Elementary. Nonetheless, the IEP team discussed the transportation issue at the November 2010 IEP meeting, and the team determined that Student’s SLD/LAS eligibility did not qualify him for home-to-school transportation, and his behaviors at home did not affect his education or behaviors at school. 19. Student’s November 2010 IEP also included a health assessment summary prepared by Maria Roxas, R.N., dated May 6, 2010. The report concluded that Student did not exhibit any health concerns that might affect his performance or participation in the education curriculum. The summary contains no reports of physical disabilities which would prevent Student from walking to school, nor did Mother or Grandmother present any evidence to suggest Student had any physical or medical disabilities which would qualify him for home-to-school transportation. 2Mr. Melendez has a B.A. in psychology and a M.A. in education and counseling. Prior to becoming a school psychologist, Mr. Melendez taught a general education kindergarten/first grade combination class. He has experience with special education, and currently assesses students and attends IEP meetings, especially where behavior is in issue. 3Ms. Abney has a lifetime kindergarten through 12th grade credential and special education credential. She has been teaching in the SDC/SLD program at Grape Street Elementary since 1995. 4Ms. Franklin has a general education teaching credential, an M.A. and administrative credential. She has previously taught general education first and second grades with mainstreamed special education students. She has attended between 300-400 IEP meetings. 1. Student’s request for relief is denied. Student has failed to establish that the District has denied Student a FAPE by failing to provide home-to-school transportation.